(8:45 a.m. BST) -- Fred. Olsen Cruise Lines has announced the launch of its first river cruise programme that will offer 30 sailings -- on the Rhine, Moselle and Danube -- from April 2018. The line's first river cruise vessel will be named Brabant -- in homage to a 1920's Fred. Olsen passenger ship of the same name. Fred. Olsen will charter the 156-passenger river ship -- currently sailing as Amadeus Princess -- from April to November 2018 and for the same period in 2019, to 12 different itineraries, from five to 25 nights. The line is likely to add a second ship to the new Fred. Olsen River Cruise Lines' fleet, but could not confirm when. Sales & marketing director Justin Stanton told Cruise Critic: "We might include a second ship but we don't know when." He added: "The amount of effort we have put into this -- it's for the long term. It seemed like a natural fit for us." The line has revealed that the vessel -- built for Amadeus in 2006 -- will not undergo a refurbishment before it sails as Brabant. It will however receive Fred. Olsen River Cruise Line branding and new livery with the ship's name. Stanton added: "At Fred. Olsen we specialise in creating a home-from-home atmosphere on our ocean cruises, and we are proud to be bringing our many decades of expertise and rich sailing heritage to the river cruise market for the very first time. "Guests can rest assured that the new Fred. 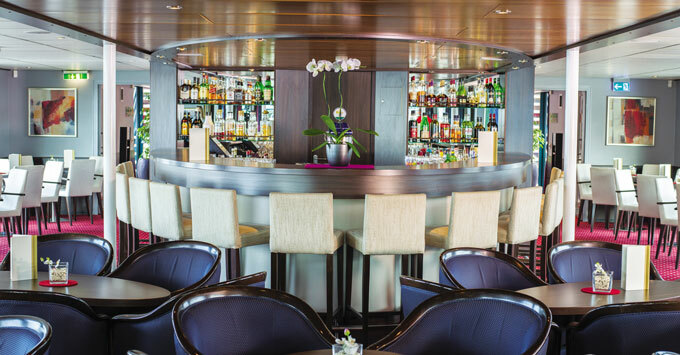 Olsen river cruises will be underpinned by the usual high standards, award-winning customer service and understated elegance that they have come to expect of our ocean-going offer." 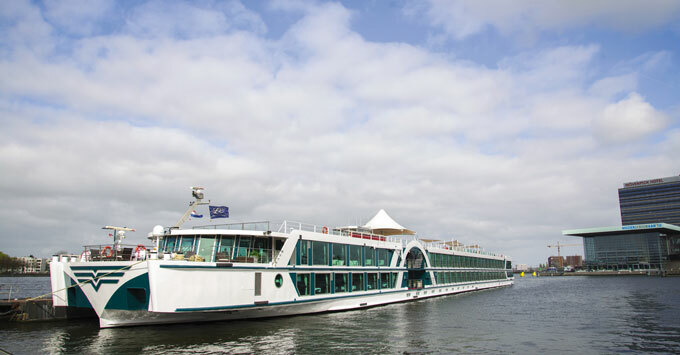 Flights, transfers, all meals and Wi-Fi will be included within the price of a river cruise fare, however, drinks and shore excursions are excluded, though the line has revealed it is "looking to put a drinks package together," similar to the one available on Fred. cruise ships. Meals will be a combination of traditional British dishes, as well as regional specialities from the areas the ship passes through. Currency will be in pounds sterling. Though crew will carry over from Amadeus, the line plans to ensure Fred. Olsen service standards are met by employing a dedicated Fred. 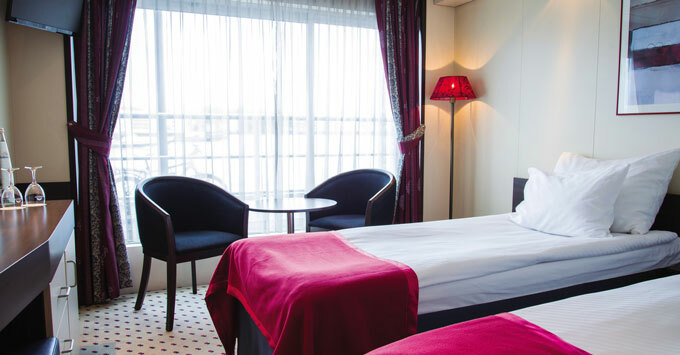 Olsen crew member onboard, such as a hotel manger or cruise director. Measuring 110-metres long, the ship is smaller than many existing river cruise vessels, which allows the vessel to dock closer to the centre of a river port. Itineraries will range from a taster five-night Springtime Dutch Discovery voyage, sailing from Amsterdam to Dusseldorf, departing April 5, 2018, to the 25-night German Jewels and Cities of the East voyage -- departing May 15, 2018 -- taking in Romania, Bulgaria, Serbia, Hungary, Slovakia, Austria and Germany. The river ship features four cabin types -- including two suites -- some with Juliette balconies. There's also a restaurant, bar, fitness and salon area, the River Terrace, shop, a bicycle rack and a pool onboard. Fred. Olsen River Cruises will release itineraries to loyalty club members on May 24, 2017, before going on general sale on May 26.